CHARLOTTE, NC (May 18, 2017) – Affinity Energy, a leading control systems integrator, has been recognized by the City of Charlotte for outstanding accomplishments of local small business community as the winner of the 2017 Minority Business Crown of Enterprise award. Companies were recognized for demonstrating exemplary leadership and sound business strategies at the sixth annual Crowns of Enterprise Awards ceremony on May 17, 2017. 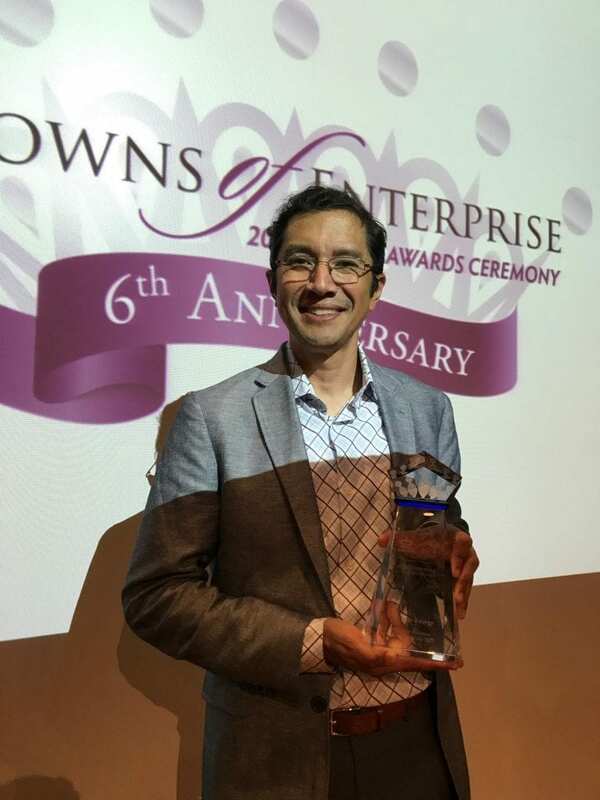 The Crowns of Enterprise Awards strive to acknowledge and display the hard work, resilient efforts, positive footprint, and economic impact of small businesses in the community. It began as a think tank between like-minded small business advocates within the City of Charlotte and Mecklenburg County in May of 2012. Ultimately, program nurtures relationship building between businesses, officials, and government agencies. Living in the Charlotte area for the past 20 years as a first-generation American, Allan Evora founded Affinity Energy in 2002. As a certified Small Minority-Owned Business Enterprise, Affinity Energy has helped dozens of mission-critical organizations in its own backyard, such as Charlotte Pipe and Foundry, WB Moore, UNC Charlotte, and Jones Lang LaSalle by monitoring their electrical distribution systems to minimize downtime and optimize power management. By helping conserve power through effective monitoring solutions, Affinity Energy helps businesses meet their own energy and sustainability goals. For more information about Affinity Energy, please contact Allan Evora at 704.766.2060 x110 or aevora@affinityenergy.com, and visit affinityenergy.com. Affinity Energy is a control systems integrator with a national portfolio of over 800 power automation projects and a rich depth of expertise working with mission critical facilities, distributed generation plants, energy companies, engineering firms, and construction contractors who seek open, turnkey systems for power management and energy optimization. Providing systems and services in the design and build phases of new construction and retrofit projects, Affinity Energy uses its industry-specific background to help customers throughout the U.S. operate efficiently, safely and, reliably. Founded in 2002, Affinity Energy is headquartered in Charlotte, NC. For more information, visit Affinity Energy at www.affinityenergy.com.